For other uses, see Shiksha (disambiguation). Not to be confused with Shiksa. Shiksha (Sanskrit: शिक्षा IAST: śikṣā) is a Sanskrit word, which means "instruction, lesson, learning, study of skill". It also refers to one of the six Vedangas, or limbs of Vedic studies, on phonetics and phonology in Sanskrit. Shiksha is the field of Vedic study of sound, focussing on the letters of the Sanskrit alphabet, accent, quantity, stress, melody and rules of euphonic combination of words during a Vedic recitation. Each ancient Vedic school developed this field of Vedanga, and the oldest surviving phonetic textbooks are the Pratishakyas. The Paniniya-Siksa and Naradiya-Siksa are examples of extant ancient manuscripts of this field of Vedic studies. Shiksha is the oldest and the first auxiliary discipline to the Vedas, maintained since the Vedic era. It aims at construction of sound and language for synthesis of ideas, in contrast to grammarians who developed rules for language deconstruction and understanding of ideas. This field helped preserve the Vedas and the Upanishads as the canons of Hinduism since the ancient times, and shared by various Hindu traditions. Shiksha literally means "instruction, lesson, study, knowledge, learning, study of skill, training in an art". It also refers to one of the six Vedangas, which studies sound, Sanskrit phonetics, laws of euphonic combination (sandhi), and the science of making language pleasant and understood without mistakes. Shiksha as a supplemental branch of the Vedas, included teaching proper articulation and pronunciation of Vedic texts. It was one of six fields of supplemental studies, others being grammar (Vyakarana), prosody (Chandas), ritual (Kalpa), etymology (Nirukta) and astrology (Jyotisha, calculating favorable time for rituals). Om! We will explain the Shiksha. Annette Wilke and Oliver Moebus date the Shiksha text of the Taittiriya Vedic school to be from 600 BCE at the latest. Texts such as this established, among other things, a rational order of the Sanskrit alphabet, state Wilke and Moebus. Other texts, such as Vyasa-Siksa of the Krishna Yajurveda, were composed later. The ancient Vedic schools developed major treatises analyzing sound, vowels and consonants, rules of combination and pronunciation to assist clear understanding, to avoid mistakes and for resonance (pleasing to the listener). These texts include Samhita-pathas and Pada-pathas, and partially or fully surviving manuscripts include Paniniya Shiksha, Naradiya Shiksha, Bharadvaja Shiksha, Yajnavalkya Shiksha, Vasishthi Shiksha, Parashari Shiksha, Katyayani Shiksha and Manduki Shiksha. Having intellectually determined the object to be communicated to others, the soul urges the mind in order to give expression, i.e., to vocalize the thought rising within. The mind so stimulated acts upon the physical fire which in its turn brings about a movement in the region of internal air. The internal air thus moved gets upward till it reaches the vocal apparatus. Shiksha, states Hartmut Scharfe, was the first branch of linguistics to develop as an independent Vedic field of study among the Vedangas. This is likely because Vedas were transmitted from one generation to the next by oral tradition, and the preservation and the techniques of preservation depended on phonetics, states Scharfe. 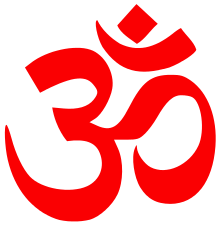 The earliest Brahmanas – a layer of text within the Vedas, include some terms of art in the Vedic phonetics, such as Varna and Avasana. The Shiksha field was likely well developed by the time Aranyakas and Upanishads layer of the Vedas were being composed. The alphabet had been categorized by this time, into vowels (svara), stops (sparsa), semivowels (antastha) and spirants (usman). The field was fundamental to the ancient study of linguistics, and it developed as an interest and inquiry into sounds rather than letters. Shiksha, as described in these ancient texts, had six chapters - varna (sound), svara (accent), matra (quantity), bala (strength, articulation), saman(recital) and samtana (connection between preceding and following sounds). The insights from this field, states Scharfe, "without doubt was applied by Vedic scholars to the art of writing". It also impacted the development of Indic scripts and evolution of language in countries that sought Indian texts or were influenced by Indian religions. According to Scharfe, and other scholars, the insights developed in this field, over time, likely also influenced phonetic scripts in parts of East Asia, as well as Arabic grammarian Halil in 8th-century CE. A strictly symmetrical [Sanskrit] alphabet definitely has practical advantages in language teaching, but this is almost certainly not the reason for its highly complex structure. (...) A better explanation of the structural density is the striving for perfect and beautifully formed representation of the object of study. The rule of the grammarians show a similar striving for order. The Shiksha field of Vedic studies arranged the Sanskrit alphabet in a rational order, state Wilke and Moebus, each mapped to the anatomical nature of human sounds, from the back to the front - throat (at the very back), palate, palatal ridge, teeth and lips. The letters of the Sanskrit alphabet were further organized by the Vedic scholars into a magic square, making symmetrical and resonant alternate readings of the letters possible, such as top to bottom in addition to left to right. Further, the Shiksha scholars added Mudra (hand signs) to go with each sound, thereby providing a visual confirmation and an alternate means to check the reading integrity by the audience, in addition to the audible means. These Mudras continue to be part of the classical Indian dance tradition. This interplay of the gesture and sound in Sanskrit recital, state Wilke and Moebus, is similar to the gesture of a conductor and the sound produced by music players in any classical orchestra. In Sanskrit, the posture of the performer is an added dimension to those of pronunciation and gesture, together these empowered muscular memory with acoustic memory in the Hindu tradition of remembering and transmitting Sanskrit texts from one generation to the next, state Wilke and Moebus. The methodical phonetic procedure developed by Shiksha helped preserve the Vedas without the slightest variants in the most faithful way possible. It made the Vedas and embedded Principal Upanishads the canonical scriptures of Hinduism. The rules and symmetric of Siksa helped the student to master enormous volumes of knowledge, and use the embedded codes and rules to self check his memory. Just as a tigress takes her cubs tightly in her teeth without hurting them, whilst fearing that she might drop them and injure them, so one should approach the individual syllables. Pratisakhyas are the oldest Siksa textbooks of each branch of the Vedas. Later Siksa texts are more specialized and systematic, and often titled with suffix "Siksa", such as the Naradiya-Siksa, Vyasa-Siksa, Pari-Siksa and Sarvasammata-Siksa. The alphabet is designed such that the difference between sounds is preserved whether you recite it horizontally or vertically. It was extended and completed with fricatives and sibilants, semi-vowels, and vowels, and was eventually codified into the Brahmi alphabet, which is one of the most systematic sound-to-writing mappings. Scholar Frits Staal has commented, "Like Mendelejev’s Periodic System of Elements, the varga system was the result of centuries of analysis. In the course of that development the basic concepts of phonology were discovered and defined. The Varga system and the Pratishakshyas, contributions of the Shiksha texts, are elaborate systems which deal with the generation and classification of sound. Although many of these Shiksha texts are attached to specific Vedic schools, others are late texts. Svara aksharas are also known as prana akshara; i.e., they are main sounds in speech, without which speech is not possible. Pāṇini referred to svara as ac pratyahara. Later they became known as ac Akshara. Vyanjana means embellishment, i.e., consonants are used as embellishment in order to yield sonorant vowels. They are also known as Prani akshara; that is, they are like a body to which life (svara) is added. Pāṇini's name for vyanjana was Hal Pratyahara, which were later referred to as Hal akshara. Sparsa aksharas include syllables from ka to ma; they are 25 in number. Antastha aksharas include syllables ya, ra, la and va. Usman aksharas include śa, ṣa, sa and ha. It was said that in Sanskrit a vowel can be pronounced in 18 ways (3×2×3), based on timing, manner, and accent of pronunciation. We see that each vowel can be pronounced in three ways according to the duration of articulation. ×. The unit of time is a mātra (approx. 0.4 seconds). Each vowel can also be classified into three types, that is, pronounced in three ways, based on accent of articulation. This feature was lost in Classical Sanskrit, but used in reciting Vedic and Upanishadic hymns and mantras. Generally, in articulatory phonetics, the place of articulation (or point of articulation) of a consonant is the point of contact, where an obstruction occurs in the vocal tract between an active (moving) articulator (typically some part of the tongue) and a passive (stationary) articulator (typically some part of the roof of the mouth). Articulation of consonants will be a logical combination of components in the two prayatnas. The below table gives a view upon articulation of consonants. 1 2 3 4 Annette Wilke & Oliver Moebus 2011, pp. 492-493 with footnotes. 1 2 3 4 5 6 Sures Chandra Banerji (1989). A Companion to Sanskrit Literature. Motilal Banarsidass Publ. pp. 323–324. ISBN 978-81-208-0063-2. 1 2 Annette Wilke & Oliver Moebus 2011, pp. 477-495. 1 2 3 4 5 6 7 8 Hartmut Scharfe (1977). Grammatical Literature. Otto Harrassowitz Verlag. pp. 78–79. ISBN 978-3-447-01706-0. ↑ Guy L. Beck 1995, pp. 35-36. ↑ Guy L. Beck 1995, pp. 35-39. 1 2 Annette Wilke & Oliver Moebus 2011, p. 477 with footnotes. ↑ Annette Wilke & Oliver Moebus 2011, pp. 477-493. ↑ Kireet Joshi (1991). The Veda and Indian Culture: An Introductory Essay. Motilal Banarsidass. pp. 96–97. ISBN 978-81-208-0889-8. ↑ Guy L. Beck 1995, p. 38. ↑ Hartmut Scharfe (1977). Grammatical Literature. Otto Harrassowitz Verlag. pp. 79–80. ISBN 978-3-447-01706-0. 1 2 Annette Wilke & Oliver Moebus 2011, p. 479. ↑ Annette Wilke & Oliver Moebus 2011, p. 478. ↑ Annette Wilke & Oliver Moebus 2011, pp. 478-479. ↑ Annette Wilke & Oliver Moebus 2011, pp. 479-480. 1 2 Annette Wilke & Oliver Moebus 2011, p. 480. 1 2 Annette Wilke & Oliver Moebus 2011, p. 495. 1 2 Annette Wilke & Oliver Moebus 2011, p. 499. ↑ Annette Wilke & Oliver Moebus 2011, pp. 500-501. ↑ Annette Wilke & Oliver Moebus 2011, p. 500. ↑ Annette Wilke & Oliver Moebus 2011, p. 492. ↑ Annette Wilke & Oliver Moebus 2011, pp. 492-493. 1 2 3 4 5 Thomas Egenes (1996). Introduction to Sanskrit. Motilal Banarsidass. pp. 152–154. ISBN 978-81-208-1693-0. ↑ Kireet Joshi (1991). The Veda and Indian Culture: An Introductory Essay. Motilal Banarsidass. p. 103. ISBN 978-81-208-0889-8. ↑ Staal, J. F., The Fidelity of Oral Tradition and the Origins of Science. North-Holland Publishing Company, 1986. ↑ Annette Wilke & Oliver Moebus 2011, pp. 477-479. ↑ Frits Staal, The science of language, Chapter 16 in Gavin Flood, The Blackwell Companion to Hinduism Blackwell Publishing, 2003, 599 pages ISBN 0-631-21535-2, p. 352. ↑ "Siddhanta Kaumudi" by Bhattoji Diksita and "Laghu Siddhanta Kaumudi", by Varadaraja. ↑ "Telugulo Chandovisheshaalu", Page 127 (In Telugu).